A FRIEND once asked me if the diplomatic community still held “diplomatic balls” — the kind where the men wore morning coats (tuxedos, but with long flaps at the back) and women wore elaborate ball gowns that cost an arm and a leg. The tradition was popular in the 14th and 15th centuries when the royal houses of Europe still ruled the world, but has more or less been abandoned since World War 1. These days, it is normally the diplomatic academies that organise such balls. The Diplomatic Academy of Vienna often has an annual charity ball; the Georgetown School of Foreign Service often holds one in spring to expose the students to diplomatic life; and a smattering of other diplomatic academies will host a one-off ball from time to time. In 2006, the Ministry of Foreign Affairs of Poland tried to revive this tradition of a diplomatic ball, but with little success. Diplomatic practice has evolved tremendously in the past generation alone. The idea that diplomats only play dress-up and rub shoulders with the privileged and powerful is grounded in the old days — when aristocrats were appointed as envoys to be highly visible in the host country as well as report back on the more clandestine dealings of that host country. Today’s diplomats come from all walks of life, and are career foreign service officers who work their way up the chain of command. Above all, they are civil servants of the people. The key word is “servant” — denoting a commitment to a higher calling than that of self-glory and class interest. Diplomatic life in the 21st century has little resemblance to the excesses of the old kingdoms. Indeed, today’s diplomat works around the clock with a very tight budget and limited resources. 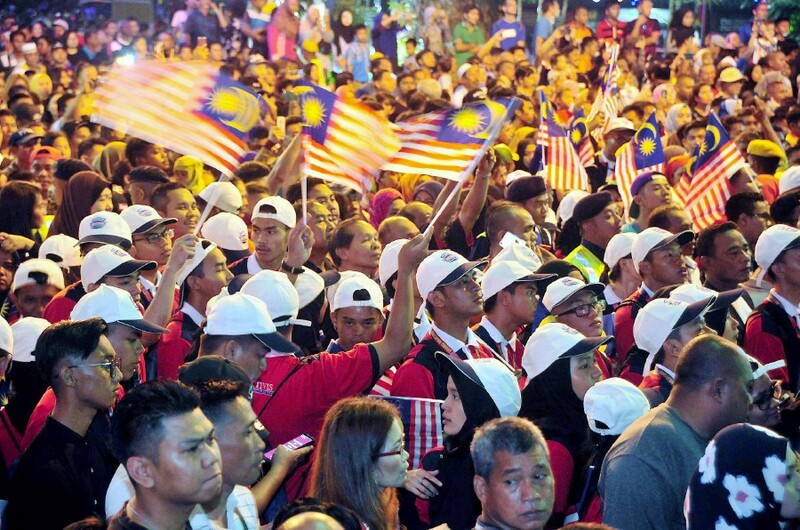 The celebration of Malaysia’s National Day is a case in point. Having just celebrated our 61st birthday, we see how embassies abroad celebrate Aug 31 has undergone a radical change. In the 1990s we would rent a hall, invite between 100 and 200 guests, play the national anthem, propose a toast to the good health of the country, then listen to a speech about the excellent ties between Malaysia and the host country before the partaking of Malaysian savouries and sweets. But because the allocation for national days has dwindled to a trickle, this has had to be adapted. By 2007, when Malaysia celebrated its 50th year of independence, only a handful of our embassies around the world could host receptions because of the cut in the allocation for such events. The global recessions of 1998, 2002 and 2008 took its toll on the foreign service allocation, which never bounced back even though the economy did. Diplomacy is about the projection of an image more than anything else; if it was known that Malaysia had no funds to even mark its most important day of the year, then confidence in Malaysia and the way we do business would quickly erode. So Malaysian embassies had no choice but to figure out how to host a national day without funds, often dipping into their own pockets to “save face”. It is fortunate, perhaps, that the evolving way of diplomatic life means that even such breaches of protocol can now be accepted. In Dakar where there are 79 foreign embassies, not all countries have the limitless funds of the more developed nations to host their national days. So they become very creative. Namibia opted to go for a “Braai” or a laid-back barbecue on their compound one Saturday to celebrate their national day. Breaking away from the dictates of protocol, they did not even have a minister of the host country as their guest of honour. Cabo Verde held their national day at midnight at the Senegal military officers’ Mess Hall to keep costs to a bare minimum. Rwanda invited guests to the local museum where they used just the front lawn to mark their national day with a mesmerising and relaxing song and dance routine. Ghana had a sit-down dinner rather than a reception and unless I am mistaken, Cuba celebrated its day with a cigar party. As for Malaysia, this year it opted for a movie night at the rooftop of Rumah Malaysia in Dakar. After three years of being unable to host a national day, the pressure to conform just became too much, and so the Friends of Malaysia in Senegal have been invited for a rooftop barbecue followed by the screening of The Journey, which Astro Shaw Malaysia allowed to be screened gratis. Diplomatic life, though, is still very much protocol and image-driven. If Malaysia wants to reclaim its place on the world stage, then it has to start providing enough resources to ensure our visibility abroad. It can only do this by ensuring that Malaysia’s missions abroad are given sufficient funds to carry out their mandates effectively.